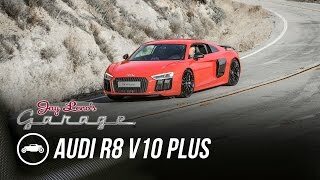 Audi R8 2017 is a true example of cars to land in future market. It is lightweight, powerful and yes offers better handling. 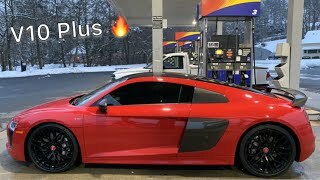 Well we were expecting this second generation release of Audi R8 and why not, it’s been almost 7 years of it ruling the streets and maintaining its position commendably in the list of top supercars available in market. With this revised release expectations too increased and looking at the specification we must say, Audi deserves a hike in market. 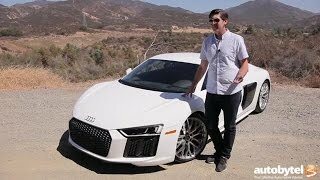 The Audi R8 2017 definitely comes with fuel efficient powerful engines and to add more to its performance its lightweight chassis works out the rest. 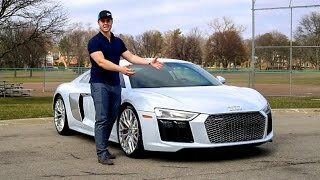 Wait let us not hurry and study this all new Audi R8 2017 under our various headings, in a better and fluent way. The car reaches to high speeds in no time, this in turn calls for driver oriented features and this is what is more attractive about the interior of Audi R8 2017. The all new R8 has a multifunction mounted steering with start/stop feature and performance mode buttons, giving the driver effortless control over car. Another feature added is a rotary wheel mounted with toggling selections between dry, wet and snow programs accompanied by a button for controlling the sports exhaust system. The old cluster analogue instrument is replaced by all new 12.3 inch display, with perfect graphics and all important information needed, with an option to be customized. Integrated Wi-Fi hotspot, options for leather upholstery and new infotainment system are some of the more features that takes the new Audi R8 a step ahead from its predecessor. 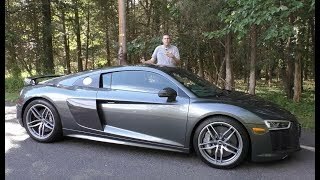 Talking about the Audi R8 2017 exterior the first in section comes its lightweight body followed by features like the Laser headlamps producing lot of light and giving a wide range for perfect view. Apart wide and flat single radiator grille also catches your attraction, with muscular lines and wheel arches producing a sharper look. Rest not much of changes can be noticed in the exterior. Its rear wing is made up of lightweight CFRP and also has an electrically extending spoiler. With its new lightweight add-ons the new Audi R8 now weighs just 1,555 Kilograms (Dry weight). The model might face a good competition with Jaguar XF.